As important it is to have one’s own personal style, equally important it is to have certain characters, fictional or not as icons to follow. 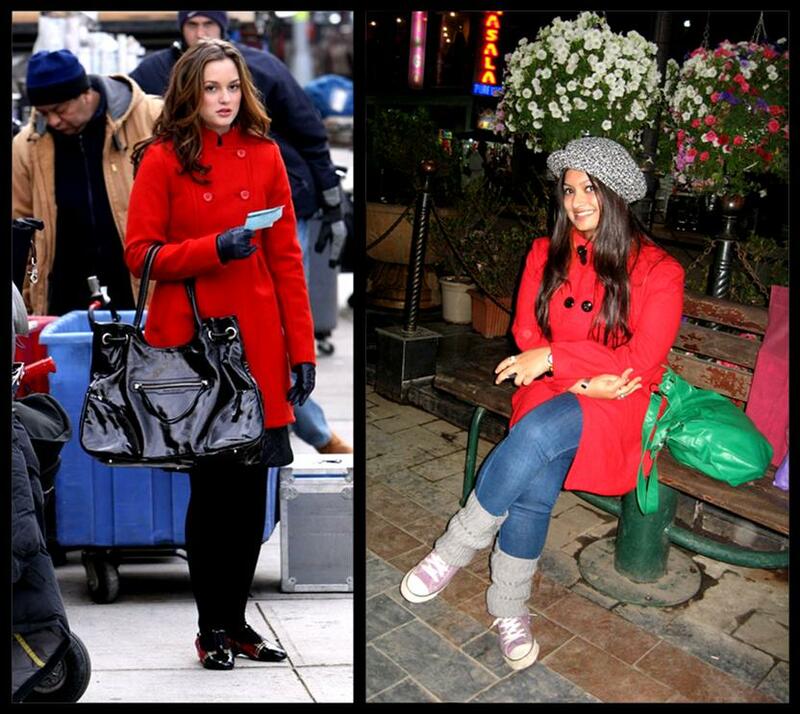 In that case, my icon would be Blair Waldorf (Leighton Meester) of Gossip Girl. Since the very first episode, I have been totally mesmerized by her. One reason was my love for bright colors which matched with her. As I was going through some old pictures, I came across this. The overcoat was bought keeping the Waldorf look in my mind. But again, my individual style took over which compelled me to team it with blue denims and a green bag. A detailed post on my head-gear can be read here. Who is your fashion guru? Do let me know in the comments below. Till then, keep that gorgeous smile on and stay stylish. Love red! You look beautiful! You look gorgeous in red…loving your trench coat…I have always wanted to own a bright red one like yours. Thank you so much! I’ll drop in to your blog for sure!